Out with dull-looking skin. In with an alcohol-free toner for gently polished, hydrated skin, primed for your daily moisturiser.. Skin type:. on the dry side.. The way we blend it..
- Tamarind fruit seed: helps hydrate and boost skin elasticity. .
- Aloe vera: for comfort..
- Tripeptides: gently micro-exfoliate the skin..
- Alcohol-free: to keep your skin happy. This facial toner for dry skin helps to remove any impurities left after cleansing while priming your face for your moisturiser with gentle micro-exfoliation. It's alcohol-free and blended with aloe vera to help keep dry skin comfortable. - Morning and night after cleansing, put 2-3 pumps of toner onto a damp cotton pad..
- Gently sweep the pad up the neck and across the jaw, chin, nose and cheeks..
- Sweep up the bridge of the nose and onto the forehead and temples..
- Repeat until your skin feels completely clean. 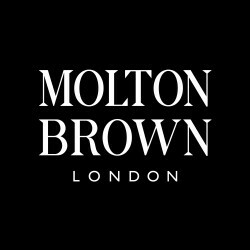 Despite loving Molton Brown this one doesn't really work for me. 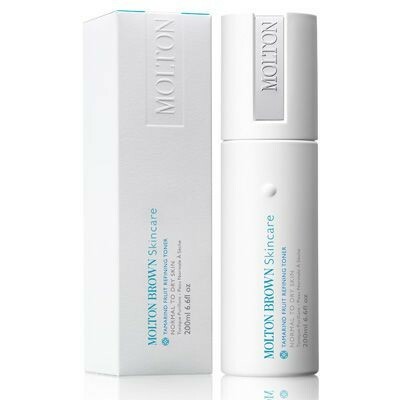 The toner is fine in use, though I'm not a big fan of the scent which is a little sickly, and it's milder than some others but given the Molton Brown quality and price there really isn't that much to be positive about.